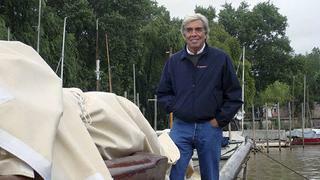 German Frers began his career as a boat designer at just 16. German Frers still races the yachts he builds, when hes not skiing, ridiing or designing ground-breaking yachts. A leg of the Les Voiles de Saint-Tropez is under way, and I am lucky enough to be in the crew of the German Frers-designed Only Now. 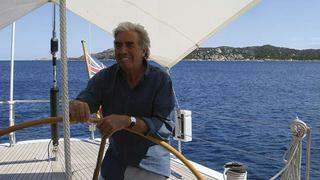 German Frers is on board too, and we are surrounded by about 10 other famous examples of his designs. Like the other crew members, Frers is sitting upwind on the deck, and this is a good moment to discuss his life, work and views. He explains how it is important to him to find a satisfactory balance between the classic and the modern in his designs, and says he is extremely satisfied with the 31.5m high-performance sloop Only Now, built by CNB using carbon fibre, vinylester resin and balsa in a ground-breaking infusion process. The specific look of his Wally 65 is also a source of pleasure. German Frers is without doubt one of the best signatures for a sailing yacht. Every Frers design is an outstanding example of the art, and it is a tribute to his talent that his studio has established a close design relationship with boatbuilder Nautor’s Swan. Reflecting on his career, he says: ‘I obviously feel satisfaction in having been able to meet so many interesting clients, builders and the people associated with yachting in general, and to have been able to design so many boats that have won many trophies and are nice to look at. German Frers is always delighted to be on board a sailing yacht, but also enjoys many other pursuits, particularly if they take him outdoors. German Frers, who was born in 1941, designed his first boat at the age of 16 and then worked with the great Olin Stephens in New York before moving back to his father’s Buenos Aires design office. He has designed more than 1,000 sailing yachts, and some of the most famous have won just about every prestigious race in the calendar: the Admiral’s Cup, Transpac, Whitbread, SORC, the Fastnet, the Kenwood Cup, IMS World and Maxi World – as well as being finalists in the America’s Cup. Operating between his two offices in Argentina and Italy, he continues to pursue his work with as much passion as ever. And he is proud that his son, German Frers Junior, nicknamed Mani, will carry on the ‘pleasure of creativity’. Originally published: Boat International Jubilee Special 2008.